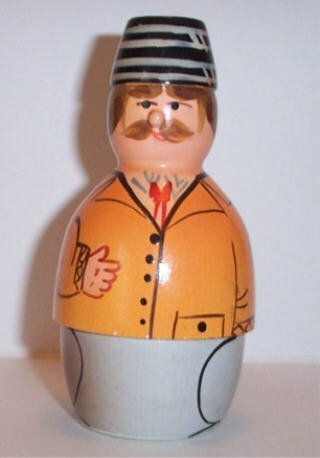 This is an empty outer doll from the very rare Polish Shires set. The seller had listed a number of mismatched Polish dolls including this one and the missing Hansel from the Hansel & Gretel set, mixed up with a complete Red Riding Hood set. I was able to work a deal for just this and the other mismatched dolls. On 11/26/03 a complete Shire set sold on eBay for $265.00 and was the subject of a fierce bidding war.